0.5HP Stainless Steel Oil Crops Pulverizing Machine(RT-66S) - Rong Tsong Precision Technology Co. The machine has the honor to get the Patent No.200031, ZL02239611.x. The machine is made of SUS 304 with polish process. 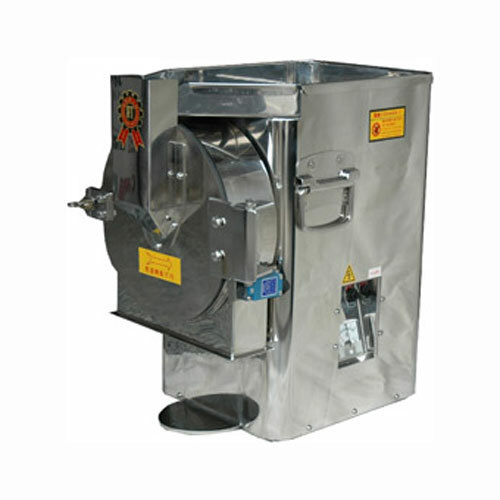 It is suitable for grinding almond, peanut, sesame and so on. Applied for material for example：almond, peanut, sesame and oily material...etc. The fineness of powder can reach 30~60 mesh based on different characteristics. Quiet, powerful and more efficient motor （1/2HP）. Sieve is consumable and use in different size based on materials.